The author_s principal objective in publishing these essays was to present all the materials for impartial judgment of the scriptures and religion of the Parsis. Contents: Essay I. History of the Researches into the Sacred Writings and Religion of the Parsis; Essay II. 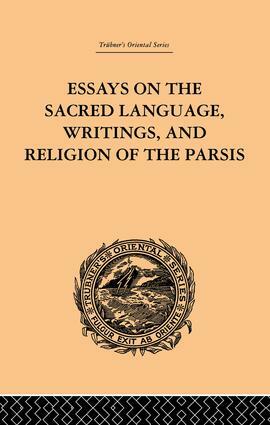 Languages of the Parsi Scriptures; Essay III. The Zend-Avesta, or the Scripture of the Parsis; and Essay IV. The Zoroastrian Religion as to its Origin and Development. A biographical memoir of Dr. Haug by Professor E.P. Evans is also included in this volume.